23 years ago one of my favourite childhood films came out, it made me fall in love with basketball, become a fan of Michael Jordan and love the Looney Tunes even more than I already did; this movie was Space Jam. I don’t very often talk about my love of basketball, hip-hop/r&b or the culture behind it on this blog, but Space Jam was a big part of that. If you don’t know what Space Jam is, then what is wrong with you? But if you don’t, the film is about the Looney Tunes having to face the Monstars (evil aliens) in a basketball match, so they steal Michael Jordan from Earth for his aid in beating the Monstars. Nothing special, as far as the plot goes, but it was extremely iconic for children in the 90s. The soundtrack was amazing, it had the Looney Tunes in, which every kid loved and basketball, which was humongous in the 90s. The animation in the original Space Jam is incredible. The style looked like the classic Looney Tunes cartoons, but with cinematic lighting and it blended in very well to the live action scenes. I don’t want 3D or CGI Looney Tunes or a modern take, just make them look like their classic selves in a live action world. The soundtrack of the original Space Jam is perfect. You listen to every song featured in the movie and it instantly makes you think of the movie. Every single song gives you the 90s feel and makes you believe you want to play some basketball. Black Panther in 2018 proved that getting big artists to do the soundtrack still works today and getting similar artists will be perfect for Space Jam 2. Let’s be honest, most fans of Space Jam are probably 20 years old or above. So, please don’t make the comedy or film feel too childish. 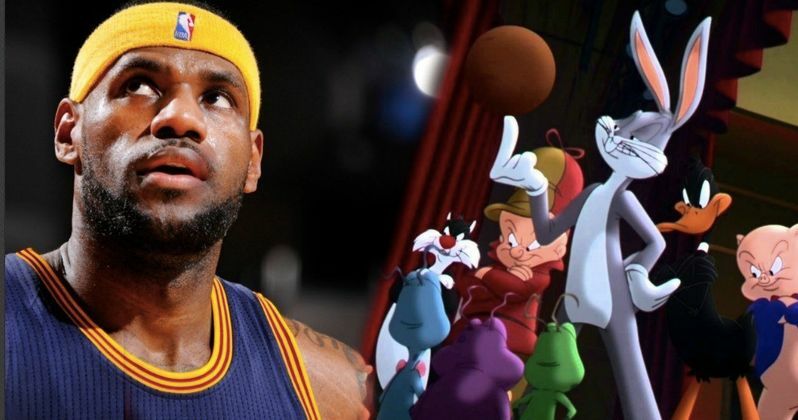 Looney Tunes has always been suitable for kids and adults and this should be the case for Space Jam 2. Michael Jordan needs to be in this movie, if he isn’t there will be chaos. More cameos and easter eggs would be cool too, but Jordan is my main demand. Those are the main components which I believe will make Space Jam 2 an awesome movie. Please Warner Brothers, don’t mess this up!